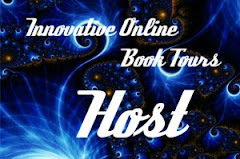 This review is posted in conjunction with a virtual book tour organized by Goddess Fish Promotions. 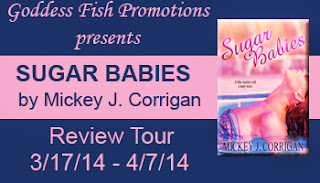 Mickey will be awarding to one randomly drawn commenter during the tour a download card for SUGAR BABIES (US ONLY - international winners will receive a digital copy of the book). Click the banner to see the other stops on the tour. A sugar daddy can make your money woes disappear. But for sugar babies, life is like a chocolate-covered time bomb: sweet on the outside, deadly on the inside. I have to admit that from reading the blurb, I was not sure this was the kind of book I would enjoy. But, I was asked to read the book as a favor and---boy, am I ever glad I did. This story is a story of three women and a man, but the man is a shadowy figure. He opens the book with a page from his diary and the first paragraph grabbed me and didn't let go: Three women. I broke one's spirit. I broke another's neck, and I married the third. The book takes the reader into the background world of professional girlfriends--young women who are out looking for their sugar daddies. It's not a pretty life and it's not all it's cracked up to be. Sure, there's glamour, fancy restaurants, and excitement but there's a darkness to it. And this book points out the danger as well. 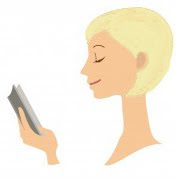 The author shines when characterizing the women in the book: Esme, Maire, and Niki. The men are less well drawn, but that's okay...because it's not their story. The identity of the "sugar daddy" who wrote this diary eluded me to the end.. and I stayed up way too late to find out. Good job, Ms. Corrigan. 4 flowers. A few minutes before midnight, Esme stepped out onto the high-rise balcony and made a phone call. She felt lush, swollen, and she smelled of bed. “The eagle has landed,” she whispered. Jake’s cell was off, an annoying new habit he’d picked up. Which probably indicated he was in bed with some floozy from the bar. Otherwise he’d answer her call, no matter what time it was. The wind off the ocean was cool on her bare skin. She could always call the bar directly, ask them to page him. She looked down at the black sea, the sand a luscious frosting, creamy white in the moonlight. Jake would kill her if she embarrassed him like that. She’d have to enjoy the glorious moment alone. She’d made it! Months of nothing but strike outs and then, suddenly, a triple! Maybe even a home run! One minute she was feeling hopeless. The next, she had a sugar job, she’d scored a sugar daddy, and she’d been ushered into the sugar life. Yes! Esme laughed out loud. Here she was, in the heart of Coconut Island, on millionaires’ row. In fact, she was standing on the terrace of one of the fancy condo buildings she’d lusted after on so many failed nights, depressing nights she’d found herself staring out a dirty bus window. Now here she was, deep breathing the sea air on the patio of a luxury condo building! She’d done even better than she’d hoped or imagined. About the Author: Author Mickey J. Corrigan lives and works and gets into trouble in the lurid tropics of South Florida, where sugarbabies are as common as gators, skeeters and snowbirds. Other titles include the novellas Geekus Interruptus, Dream Job, Professional Grievers, and Me Go Mango. Sugar Babies is her first novel. Visit her at: www.mickeyjcorrigan.com or on Goodreads: https://www.goodreads.com/author/show/5828647.Mickey_J_Corrigan. Buy the book at Amazon, All Romance eBooks or Champagne Books. So glad you gave the book a chance. Not the usual romance, right?